It may be admitted at once that it is not easy to consider the account of Martha in separation from that of Mary. There are three pictures in the New Testament of these women, and in each case they are seen together. The contrast between them constitutes part of the revelation concerning them. Nevertheless they are so distinct, and our Lord's methods with them were so different, that we are taking them in separation. Necessarily in looking at Martha, we shall have to glance at Mary, and when we come to consider Mary, we shall have to glance at Martha. These women are named by neither Matthew nor Mark. Of the three pictures one comes from the pen of Luke, and two from the pen of John. Let us first glance at the three pictures. The first of them is found in the final paragraph of the tenth chapter in the Gospel according to Luke; the second in the eleventh chapter of John; and the third in his twelfth chapter. As we look at the three we see that they present three days, and it may be best first of all to describe the days in themselves. The first was a day of prosperity and gladness and sunshine, over which certain shadows are seen creeping. The next is a day of gloom and of anguish, and of calamity, but a day upon which wonderful light breaks forth. The third day was a strange day indeed, in which we are conscious of a mingling of light and of darkness. Terrible darkness is there, but the most wonderful light is shining also. We may roughly describe the three days as, first a day of sunshine, then a day of gloom, and finally a day of mystery. As we look at Martha on the day of prosperity and of gladness and of sunshine, we see her busily occupied as the hostess. Luke tells us with artless simplicity that: "A certain woman named Martha, received Him into her house." No reference whatever is made to Lazarus, and it is quite evident that Martha was the householder. If we had been passing through Bethany at the time, and called, it was not Lazarus who would have received us. It was not Mary who would have interviewed us first, but Martha. Trespassing a little on our article on Mary, it is interesting to notice that whereas Luke makes it clear that the house belonged to Martha, John, referring to the two women, puts Mary first, as he says, "the village of Mary and her sister Martha." So that while the house belonged to Martha, there is a sense in which Mary had first place in the possession of a village. Perhaps that cannot be carried too far, but it is at least suggestive. Let that be as it may, what we do see as we look on the first picture is that of Martha as a loving hostess, determined to do everything that lay in her power to make the visit of Jesus bright and beautiful. Most of us have been familiar with this woman or her type. We watch her moving swiftly round, attending to many matters. Each succeeding moment becomes more filled than the preceding one with activity, and all this in order to make her Guest welcome. Luke described this activity by declaring that she was "cumbered about much serving." Quite literally the Greek word there employed means she was dragged round. If perhaps no mere man understands that, I venture to affirm that every woman does. Now watching closely, we find that as the result of this very activity as a hostess she becomes disappointed. She cannot overtake the promptings of her heart. She cannot get done all that she desires to see done. Suddenly she became aware of Mary, who, but a little while ago was by her side, helping, but now has left her. It is important that we observe carefully how she herself stated the case. She "Did leave me to serve alone." Martha now saw Mary sitting at the feet of Jesus, and she became angry first with Mary and then-mark it well-angry with the very One Whom she was trying to welcome. That is the picture of Martha presented to us on this first day, the disappointed hostess, whose love has been thwarted, because it has been attempting to express itself in activity, and is unable to do so satisfactorily. So we see her coming into the presence of Jesus, and saying: "Dost Thou not care that my sister did leave me to serve alone? Bid her therefore that she help me." We turn now to the second in this triptych of pictures. It is a day of agony, and a day of that agony which follows, when the possibility of service is at an end. Martha is seen bereft of her brother. One can imagine that in the days of the sickness that ended in his death how ceaselessly active she had been in service. Now the hour had come when such service was useless. Nothing more could be done. Her brother was dead. Then she had added to that awful pain of bereavement the deeper anguish of feeling that she had been neglected by her Friend. She and Mary had sent a message to Jesus Who was away on the other side of Jordan, telling Him: "He whom Thou lovest, is sick." When they sent that message their feeling undoubtedly was that Jesus would come immediately. He did not come. The message that they received in answer to their appeal was that He had said: "This sickness is not unto death." But now he is dead, and Martha learns that Jesus is coming, as it must have appeared to her, too late. Then we see her violating all the conventionalities of her religion and her nation, in that, when she heard of His approach, she did not wait in the house as was the custom of mourning women; she crossed the threshold, and meeting Him, said: "Lord, if Thou hadst been here my brother had not died." There can be no doubt that in her case it was the language of protest, because He had not come. Then we turn to the third picture. The atmosphere was hushed and tense. Calamity was at hand, and the disciples knew it, though they were perplexed beyond measure. Their outlook was baffled and beaten. They knew that the enemies of their Lord were closing in upon Him. As we look we see a supper in a house, with at least sixteen people present. When our eye falls upon Martha, we see her revealed in a sentence of two words, "Martha served." Here, however, there is no reference to her being burdened. With a quiet and fine dignity John tells us she served. Probably that day her feet went faster and her fingers moved more swiftly than ever before, but there is not a word about distraction. So we see Martha in the sunshine, Martha in calamity, Martha in the presence of mystery. As we look at her we are first of all impressed with the fact that she was a woman of great affection. Love was the inspiration of her service on the first occasion. Love was the reason of her tumultuous grief at the death of her brother. Love was the inspiration of her quiet service on the day of mystery. Moreover, in her we see a woman of unquestioned honesty. She dared to utter the criticism of Jesus and Mary, of which she was conscious on that first day. She was equally honest when in the day of calamity, when our Lord had made her the stupendous declaration, He challenged her, "Believest thou this?" she replied, "Yea, Lord"; and then immediately qualified her answer as she said: "I have believed that Thou art the Son of God." She had already said to Him: "Even now I know that, whatsoever Thou shalt ask of God, God will give Thee." In saying that she was honest, although she did not quite understand her own attitude; for when next Jesus commanded that the stone be removed, she protested that it was too late. This whole conversation reveals her, as we have said, as a woman of transparent honesty, refusing to affect a faith which she does not possess. Moreover she is seen as a woman characterized by reasonableness. In the day of sunshine it seemed to her unreasonable that Mary should leave her to serve alone. Her reasonableness is manifested in every point in her conversation with her Lord on the day of calamity. It was also evident in the day of mystery, when she was content to serve in quietness and stillness. Thus is she seen, a woman of great affection, perfectly honest, reasonable and constantly active. We turn now, then, to observe our Lord's dealing with this woman. We remind ourselves at this point that we have no account of His method of winning her to Himself. It is rather an account of how He dealt with one who was His disciple. We have no account of the beginnings. It is impossible, however, to read the account which Luke tells us without realizing that the home at Bethany was a place of refuge for Jesus. I have no hesitation in saying that that home was the one place in the public ministry of our Lord where He, to use our familiar phrase, could be perfectly "at home." The phrase suggests the casting off of all restraint, and the perfect restfulness of the realization that there can be complete relaxation. We realize that the life of Jesus was in very many ways an unutterably lonely one. As I have said in other connections, so I would repeat, we could almost write the account in brief sentences. Chapter one, "There was no room for them in the inn." Chapter two, "The foxes have holes, and the birds of the heaven have nests, but the Son of man bath not where to lay His head." Chapter three, Burial in a charity grave. Into this house at Bethany He came as into a harbor of refuge. There He found Martha busily occupied in a loving attempt to give Him a worthy welcome. He found her baffled and cumbered by that very attempt, and at last she appeared before Him making her complaint. The first thing we notice is that He had no word of rebuke for her. Yes, there was a word of reproof, but there is a great difference between reproof and rebuke. He was not angry with her. There was no resentment on His part. He listened to what she had to say, and then in the most tender way addressed her, "Martha, Martha." We notice on several occasions how when Jesus had some reproof, and His heart was full of tenderness, He introduced it by twice using the name. "Simon, Simon, Satan hath desired to have you"; "O Jerusalem, Jerusalem, how often would I have gathered thy children together, even as a hen gathereth her chickens under her wings, and ye would not." So here He said, "Martha, Martha." In the very repetition of the name there was something of reproof. The proceeded to show wherein her mistake lay. He saw her condition, and explained it to herself. She was divided, disturbed, and distracted. Life for the moment had become broken up for her and this because she had been so occupied with "many things" as to become forgetful of "one thing." Here we need care as we listen to Him saying, "One thing is needful." We may be tempted at first to put into contrast "many things" with "one thing." As a matter of fact our Lord was not objecting to the "many things," but He was showing her the effect produced upon her by "many things" was that "one thing" was lacking. He was revealing to her the fact that she needed concentration at a center, and where this was soft activities could still be carried on in peace and poise and quietness. Mary was conscious of this, and was observing it. She was taking time to sit in devotion at His feet. She was seeking at the fountain head, and finding the secret of peace. Martha was cumbered and distracted not by the "many things," but because they were not held in right relationship with the "one." Our Lord was not declaring that the "many things" were unimportant. Let love do its "many things," but let its activity be under the mastery of the "one thing," that of discipleship, and taking time for the practice of it. Necessarily if this "one thing" be done, there are "many things" that may be omitted. Martha needed this "one thing" in order to quietness and freedom from distraction. Turning to the day of calamity, we first observe that there can be no escape from the conviction that when Martha came to Him, she came protesting. It is perfectly true that she and Mary said exactly the same thing, and yet the difference was marked. It was a difference of tone, of temper, and consequently of accent. Martha was perfectly honest, but she was angry. Once again, as in the day of sunshine, she uttered a word of complaint. Here again we observe that there was no rebuke on the lips of Jesus. He looked upon that hot, troubled, tempest-tossed soul, and He uttered in her hearing words of the most inspiring majesty in which He made a high claim for Himself. He first declared to her: "Thy brother shall rise again." Her answer is very revealing. Before quoting her actual words, we may express the thought of them by saying that her answer meant, do not try and comfort me with theology just now. That is seen as we ponder her actual words: "I know that he shall rise again in the resurrection at the last day." Quite evidently Martha was no Sadducee. She believed in resurrection, but an ultimate resurrection did not heal the wound of an immediate bereavement. The protest again was characterized by spontaneous honesty. Have you ever had someone who has lost someone dear and close to them say something like this: "People are sending me books about the Second Advent and the resurrection. All may be true, but I don't want them. I want my wife!" There is no doubt that that is exactly what Martha meant when she said: "I know that he shall rise again in the resurrection at the last day." Then there fell from the lips of bur Lord those wondrous words, which surely she could not fully understand at the moment. Yet He uttered them to her, and so flooded her with light, the light that has been shining down the ages ever since, the light that transfigures every graveyard. He said: "I am the Resurrection and the Life; he that believeth on Me, though he die, yet shall he live." Here let us very carefully observe that He did not say, yet shall he live again. We may with reverence put the great statement in another form. It simply meant that if a man believes on Him, though he dies, he is still alive. The death is very real on the earth level, but the man is not dead. Necessarily the emphasis is on the condition. "Whosoever liveth and believeth on Me." Thus the method of Jesus with Martha on the day of darkness was that He gave her light such as had never shone in human history before, light which might have been challenged by the men who heard Him speak, but which has been vindicated through the passing centuries as the only definite word that proves immortality. The measure of His victory is demonstrated by the fact that when He challenged her, "Believest thou this?" she fell back upon the conviction she had as she said: "Yea, Lord; I have believed that Thou art the Christ;" and that confession then made, implicated her approach to conviction concerning the strange things He had now said. He knew that what Martha needed that day was not sympathy so much as light, illumination in the midst of the darkness. Thus we come to the last picture of her revealed in the simple statement, "Martha served." Somehow or other as the result of previous experiences, she had certainly found her Lord in a new way. She was still doing "many things," but in the power of "one thing"; and by that "one thing" she was held in peace and balance and poise for the "many things." We are not told of a word that He spoke to her on that day, but we see Him receiving her hospitality, and His very silence was that of His accomplished purpose in the case of this strong and wonderful woman. He had brought her to the place where she served in quietness and in Peace. When we ask what this account has for us, we realize how many things there are in it. Perhaps, however, the simplest of all is the realization that Christ is seen seeking hospitality in the day of sunshine, and finally receiving it in the day of mystery, even when His own Passion was approaching. May we not declare that He is still seeking for homes into which He can pass and be perfectly at home. He is still seeking for active service which makes Him welcome. But as we examine the account, with Mary in the background, inevitably we learn the truth that hospitality can only be rendered to Jesus by those who are also His guests. If I would be His host, I must be His guest. What a mystical and wonderful word that is, found in the letters to the Churches in Revelation: "Behold, I stand at the door and knock. If any man hear My voice and open the door, I will come in to him, and will sup with him." That is to say, I will accept his hospitality, I will be his Guest; and he shall accept My hospitality, I will be his Host, he shall sup with Me. That is perfect idea of fellowship with Him. First, we must be His guests. Then we can be His hosts. The other simple and yet searching and comforting lesson we draw from the account is that He is never angry with honesty. "I tell Him all my doubts, and grief, and fears." And that may be perfectly true. We can say to Him things that we cannot to any other. When we are with Him, accepting His hospitality, and offering Him our hospitality, we may say whatever is in our heart. The one thing that always stirred His anger in the days of His flesh, and still does, is hypocrisy. We may pass into His presence as Martha did, and by absolute honesty give Him the opportunity to talk to us, and reveal to us the secrets of life. Our article consists of an account in the Gospel according to Luke which begins abruptly. It is the account of an interruption in the teaching of Jesus, which at the time He was giving specially to His own disciples and that under remarkable circumstances. In order for a correct apprehension of the value of it we need to take a little time with some verses which do not at first arrest our attention, but which have a very distinct bearing on the whole matter. If we glance back, we find that the chapter 12 opens with these words, "In the mean time." It is important that we understand what that phrase really suggests. It is the translation of the Greek words en ois, which means quite simply, in which; so that we may render, "In which the many thousands of the multitude were gathered together." We see immediately that some explanation of the phrase is needed, and our translators have adopted our phrase, "In the meantime." I think that we may get nearer to the intention of it if we render, "During which things." That necessarily raises the question as to what things were referred to; and going back into the previous chapter we find in vs 53 the words: "When He was come out from thence." Once more, that reference raises a question, from whence? And we are introduced to the account of how He had been talking not to His own disciples, but to the rulers and the lawyers, and that in terms of the severest denunciation. It was then that "The scribes and the Pharisees began to press upon Him vehemently." That statement is a very forceful one, and it has been truthfully said that it presents a scene of violence probably unique in the whole record of the life of Jesus. They jostled Him, they pressed upon Him. It was a physical contact of a hostile nature. As they did so, they attempted: "To provoke Him to speak of many things; laying wait for Him, to catch something out of His mouth. During which things when the many thousands of the multitude were gathered together, insomuch that they trod one upon another, He began to say unto His disciples." And then followed the teaching given to the disciples, to which we have made reference. These then were the circumstances, the rulers so angry that they were literally shoving Him and badgering Him with questions, the vast multitude of people around, and He speaking, in the midst of the tumult, to His own. The first thing He did was to warn them against the leaven of these Pharisees which He defined as being "hypocrisy." The main burden of His teaching was that of charging His disciples to trust in God in the midst of all opposition, even unto death. It was in this connection that He said to them: "Be not afraid of them which kill the body and after that have no more that they can do. But I will warn you Whom ye shall fear, Fear Him, which after He hath killed hath power to cast into Gehenna." He then interpreted the nature of fear as being that of an absolute trust in that God Who numbered the hairs of their head. At that point, one of the multitude said: "Master, bid my brother divide the inheritance with me." Thus the account is seen to be an interruption on the course of His teaching of His disciples, which He resumed immediately afterwards as we find in the twenty-second verse: "And He said unto His disciples, Therefore, I say unto you, Be not anxious for your life, what ye shall eat; nor yet for your body, what ye shall put on." The interruption consisted, then, of a request preferred to our Lord by a nameless man. As we listen to it we at once see that two men are to be recognized. We know the names of neither, and we see one of them through what he said. He was unquestionably observable in the crowd, and was vocal. The other man is not seen. Possibly he was not present. Probably, however, he was. The request which was preferred was one employing the very speech of the Jewish law, and it has an interesting aspect in the place where it is found. The Jewish law of inheritance had to do with a man having a plurality of wives. It provided that if a man had two wives, one whom he loved and the other whom he did not, when he died, the law did not permit him to leave the whole of his inheritance to the son of the woman he loved, while the other son remained unprovided for. He must "divide the inheritance." It may be that behind this request of the man to Jesus lay an account of this kind. Be that as it may, this man became vocal, and treating Jesus as one of the scribes, remitted to Him the case, and asked for a decision, which would compel his brother to divide the inheritance. Now as we look at these two men we see quite enough for our purpose. In the case of the man who spoke we hear a cry for justice, and possibly there was justification for his appeal. If his brother who is out of sight and non-vocal were violating the law of inheritance, then there was justification for what this man asked. Even if this were not so, we still see the silent, hidden brother, grasping something which the man appealing felt an action or injustice. It is a saving with which we are very familiar today that possession is nine points of the law. As a matter of fact such a statement is subversive of justice. However, here was the case of a man in possession, and of a man desiring to share the possession. As we look at these brothers again, then, though we may grant the probable justification of the plea for justice, we notice that in both cases the utmost subject was the inheritance. One held it. The other wanted to share it. One held it because he wanted it. The other wanted it because he did not hold it. Whether we think of the case of the one or the other, we see that both were concerned with this matter of inheritance. Thus here are two men, both desiring, that is, coveting possession of things on the earthly level. As we think of these two men thus revealed, we certainly are inclined to say that their desire does not seem to be a very dreadful one. It is common. The fact, however, that it is common does not redeem it from its ugliness, and that becomes evident when we turn to consider our Lord's dealing with the matter. The first response of Jesus was that He sharply refused to do what the man requested and that in a completely repressive manner. It is impossible to read this, either in our English translations, and even more so in the language in which it was written, without hearing a note of definite sternness; something sharply forbidding in our Lord's abrupt dismissal of the request; "Man, who made Me a Judge or a Divider over you?" He addressed the one who had preferred his request by the title that reduced him to the plane of common humanity, and by so doing lifted him to the level of the greatness of that humanity, as He called him "Man." In this very method of address our Lord revealed His recognition of the nature of the one preferring the request. He was not an angel. He was not a fiend. He was a man, with all that ever meant when Jesus used the word, and all that it ever ought to mean when we use it. All the possibilities and the dignities and the glories of human nature were thus compressed into a word. One almost feels as though in the very employment of this method of address, He was calling this man away from the low level upon which he was living and thinking and desiring; and compelling him to a recognition of all the truth concerning his personality. That becomes very self-evident as we proceed with the account. In this question of Jesus, moreover, there was a recognition of His own authoritative appointment. He said: "Who made Me a Judge or a Divider over you?" The implication is that He was made or appointed to some office and work. By His question He eliminated an activity to which He was not appointed. This man was appealing to Him on a certain level, as One having authority in such a matter of law as he raised. Our Lord declared explicitly that He was not sent to interfere directly in such matters. It was as though He had said; I am not a scribe, balancing between paltry things. I repeat, there was a recognition underlying the question of His appointment to some definite mission work, but it was not for this. Then, continuing He uttered the words of solemn and searching warning: "Take heed, and keep yourselves from all covetousness." It is noticeable that He employed the plural, and thus included both the brothers, and His disciples, and the listening crowd. The ugliness of the position was that this man and his brother evidently were mastered by this very form of evil, both of them were coveting. He knew them both as John has taught us that He knew all men. Then came the statement: "A man's life consisteth not in the abundance of the things which he possesseth"; and covetousness in the realm of such things is destructive of all the highest elements in human life. It remains even until this time that men have an inadequate sense of the destructive nature of covetousness. Nevertheless the Old Testament has warning after warning of the danger of it. We see there how this very sin cursed and blasted men. Balaam's sin was the sin of covetousness. Achan's sin was the sin of covetousness. Gehazi's sin was the sin of covetousness. Necessarily we are not pausing to tell these accounts. We are familiar with them, but they all reveal the same fact. If we turn into the New Testament, we find that the sin of Judas was the sin of covetousness. The sin behind all the opposition of the Pharisees and the rulers was that at covetousness. On a later occasion when our Lord was dealing with the subject of Mammon, it is said that they were covetous, or as the Revised Version has it, "lovers of money." The sin of Ananias in the Acts of the Apostles was the sin of covetousness. We go over these facts in order that we may be reminded of the true nature of this sin. We are in the habit of labeling sins as great or little. We speak of terrible sins and little sins, which we attempt to dignify by the term peccadillos. Well, if we are inclined so to do, it is important that we remember covetousness is no peccadillo. It is one of the most blasting and damnable sins of which the soul of man is capable. When Paul in his letter to the Romans was speaking of his own spiritual experience, he made what is really a most arresting, and even amazing, declaration. It is that when in the presence of law he came to the commandment, "Thou shalt not covet," he became convinced of sin. In another of his letters he declares that touching the righteousness that is in the law, he was found blameless, that is, that he had been obedient to all the enactment of the Decalogue, and the general laws of Moses. Nevertheless as the Roman letter shows, there came a day when he found one sin of which he was not guiltless, and that was the sin of coveting. All this lends emphasis to this tremendous word of Jesus: "Take heed, and keep yourselves from all covetousness." This He then interpreted and emphasized by His great declaration: "A man's life consisteth not in the abundance of the things which he possesseth." That translation of what our Lord said is excellent for purposes of interpretation. It is, however, an interesting fact to observe that our Lord did not Himself use the word "man" in that connection. He did use it when asking the question, "Man, who made Me a Judge or a Divider over you?" But in this statement the word is not present. It is perfectly true that its equivalent is found here, but actually it is a pronoun, and a peculiar pronoun that marks personality, a pronoun which is adversative and diffusive, which is to say it applies to any individual; so that we may render: "For one's life consisteth not in the abundance of the things which he possesseth." It is, therefore, as we have said a pronoun laying emphasis upon individuality, personality. It harmonizes perfectly with the word man, but it singles the individual out as a person. Whereas this is not translation, we might with perfect accuracy for the sake of interpretation, render the declaration, "Personality consists not in the abundance of the things possessed." Still pausing to attend to these words a little critically, we ask, what is meant by the word "consists?" Whereas we cannot say that the word "consists" is incorrect, we do say that it is capable of being misunderstood. The intention of the word here is not that of holding together. There is such a word, and there is such a thought, but the real intention of this may be rendered thus, One's life exists not in the abundance of the things possessed. That is to say, the secret of personality, the essence of it, the main truth concerning it, is created not by the abundance of things possessed. Covetousness, then, is the desire to possess something or things. Against that Jesus solemnly warned those who heard Him. The question may be asked, Have we not the right to possess? That question is dismissed by our Lord's declaration that He was not made a Judge or Divider. His mission was not to deal with these accidental things of possession, but rather with the mystery and the majesty of personality. That does not exist in possessions. And yet once more, we pause with the word "life," as it occurs in this declaration. In doing so we find that it was a common Greek word for life, zoe; not psuche, not pneuma. Now this word was the simplest word for life in itself, essential life, the life of a butterfly, the life of an arch-angel, or the very life of God. In the Greek language they had another word for life, bios, and in their use, bios was supposed to describe something higher in the scale of being. We have adopted both words into our language in certain applications, as for instance in our employment of the terms zoology and biology. We have; however, made use of the former in application to the beasts; and the latter, biology, for all life. In doing this we have reversed the Greek idea. Now the arresting fact is that uniformly in the New Testament, when life is spoken of on its highest level, as eternal life, the term used is not bios, but zoe. Zoe, therefore, is essential life, life in itself, with all its mystery and its marvel, its possibility, and its power. So here our Lord employed that word, and declared that a man's life, his essential life, does not exist in things possessed. Here once more we pause to say that the word "things" is not found in the original text, but it is quite necessary to insert it for our understanding. We say, therefore, that in this very ward "things" there is something of severity, and even of disdain, in such a connection as this. In the course of our articles we have often made reference to the varied accents and tones in the voice of Jesus. It may be heard throbbing with the depths of infinite tenderness, thundering with the wrath of infinite anger, and sometimes filled with the tones of sarcasm. There can be little doubt that there was sarcasm in this reference. Life does not consist in things, whatever their abundance may be. As our Lord said this, both brothers were involved. The thought of each was moving in the realm of things. It was this attitude which created the almost severe terms of His first question: "Man, who made Me a Judge or a Divider over you?" As though He had said, why put Me down as a Trifler? My purpose is that of dealing with life, and men never enter into life through things. It was in this connection that our Lord uttered that matchless parable with which we need not deal at any length now, except to glance over it, and catch the force of its application. It presents the picture of a man who would have passed contemporary at the time, and even today, as a straight, upright, honest, far-seeing, hard-working man. On the earth level there would appear to be nothing wrong with him. He possessed land, and his possession had proved a good investment. It "brought forth plentifully." Then he reasoned within himself. That seems to be a rational thing to do, and yet, as the account shows, he was prostituting his own personality by confining his reasoning to that personality. We listen to him, "My fruits," ''my barns," "my corn," "my goods," "my soul." We at once ask the question as to where through all this reasoning process, God is found? He is not referred to. For all practical purposes He is not counted upon. God is ignored. I do not say that He was denied. There is no proof that this man denied God. There is no suggestion that he definitely and openly rebelled against God. He was successful, and he was thoughtful. He was a good business man, but in his outlook and his calculation there was no place for God. Therefore he was entirely self-centered, and being self-centered, he was utterly mistaken concerning himself. We hear him say: "I will say to my soul, Soul, thou hast much goods laid up for many years; take thine ease, eat, drink, be merry." When we thus pause and think, we are driven to the conclusion it is almost impossible to find a more appalling conception of life than that. The idea that the soul can be fed with goods is disastrous. Moreover, the whole outlook was limited by the phrase, "for many years." For how many? That was not considered, for, of course, it was not known. The outlook, however, was that however long or short the period, it was to be a period for eating and drinking and being merry. Then across the account the words come with a crash, "But God!" God is introduced after a conjunction. That is the tragedy of all tragedies. "God said unto him, Thou foolish one, this night is thy soul required of thee." The "many years" contemplated are cancelled. The end is "this night." Therefore, the "much goods" trusted in are dealt with by the satire of the question, "Whose shall they be?" I sometimes am inclined to think that there is nothing much more tragic in human life than the reading of a will. Gone is the man or the woman who possessed. The border-line has been crossed. The summons that brooks no refusal has been obeyed, and now those left are gathered together to consider whose shall these things be? Thus, these two men are seen both living on the earth level, concerned about "things." One has them. He is determined to hold them. The other wants them, and is appealing for them. In all the majesty of eternity, with the weights and balances of the ages in His hand, Jesus shows these men life, and how that it is independent of things. By the use of the parable He does that, ending everything with the words: "So is he that layeth up treasure for himself and is not rich toward God." The sequel of the account is not on record. What happened to these men we are not told. The revelation of the account, however, abides in all force. We see in it men concerned with things, with possessing, while God is ignored. But God is present throughout. He was in the land that produced the fruit. It was by His government and activity that the barns were filled with corn. The man living in forgetfulness of God, and occupied with his grain, was guilty of the degradation of his own personality. Such an outlook puts life on the level of the beasts. As we listen to our Lord, we learn that the secret of the glory of personality is that of being rich toward God. God recognized, God seen in all the processes of nature, God taken into account in the calculation at the years, and the dealing with possessions means the cancellation of the merely animal desire to eat, drink, and be merry. It is God alone Who lifts the soul into the place of the everlasting riches. When the apostle John wrote his Gospel he selected from the ministry of the Incarnate Word eight signs in the realm of His works. All those selected were in some sense matchless in their revelation of the power of God operating through His Son. This one stands out as peculiar, for it is the only one on record of our Lord's dealing with what today we describe as congenital (inherited) disease. It is possible there were other cases, but this is the only one definitely recorded. In order to a correct apprehension of the account, the whole of chapter 9, and chapter 10 so far as verse 21 should be read. There is really no break between these chapters. The discourse of our Lord runs to the verse John 10:21. In that discourse we find His great statement, "I am the Good Shepherd," and His declaration concerning other sheep that must be gathered, that there may be one flock. That discourse of Jesus has its distinct bearing upon the account of this man. It was indeed the outcome of what He had done for him, and the interpretation of His final action in connection with him. The time notes of this account are not very clear, and there are different opinions concerning them. Personally I think it is to be linked very closely with chapter 8, and indeed contains a continuation of the account of how, at the Feast of Tabernacles recorded in chapter 7, He had declared Himself to be the Source of living waters. I think the connection is very close. He had been in the midst of those opposed to Him, whose opposition had been characterized by great bitterness. They had listened to what He had said to them, and then with a touch of supercilious disdain they had said, "Thou art not yet fifty years old." I never read that without wondering whether it is not a revelation of His appearance. He was not 33 years old, but probably looked much older. He had told them that their father Abraham had seen His day, and had rejoiced so to do. This led to the words: "Thou art not yet fifty years old, and hast Thou seen Abraham?" It was to them a most absurd suggestion. It was in that connection that He uttered that great claim, "Before Abraham was, I am." Then they took up stones to cast at Him, but He hid Himself, and went out of the Temple, and as He passed by He saw a man blind from his birth. As we read on in the account, we find that the man was a beggar that he obtained his livelihood by sitting and receiving alms from the passers-by. Such men were almost invariably gathered in the Temple precincts. Jesus, Who had made His great claim, "Before Abraham was, I am," now passed from the Temple, and as He did so, He saw a man blind from his birth. As we attempt to look at this man, there are two things of importance, first an outstanding and arresting fact, and then some incidental things, not unimportant, but taking a secondary place. The arresting central fact, then, is that here is a man sitting, as a beggar, seeking alms. Moreover, a man born blind, that is blind from his birth, a man who had never looked into his mother's face, had never seen the face of Nature, and had never beheld the Temple courts. He may have been strangely familiar with them by touch that marvelous new sense that always comes to people deprived of sight. Nevertheless, as we have said, he had never seen the Lake, had never seen the hills, and had never seen the flowers. He was a human being, apparently and almost certainly in possession of all his other powers, lacking this high gift of sight. We are brought face to face with the centrality of this matter, and its exceptional nature by the problem raised in the mind of the disciples as they looked at the man. Evidently our Lord drew their attention to the man, if only by His own looking at him. John carefully tells us that He saw a man, and the disciples asked Him their question. As they looked upon the man, upon whom they saw Him looking, a problem was at once suggested, which it is quite possible that they had often discussed, perhaps in the presence of the man himself. It was the problem of men born into this world with a limitation and disability, lacking this great gift of sight. Their question was: "Who did sin, this man, or his parents, that he should be born blind." It was a question as to the relationship between this disability and sin. Their thinking is at once revealed. They were sure that there was some connection between human disability and sin, and they were right. That was their philosophy, and so far, they were perfectly correct. No man is ever born blind in this world except as the result of something wrong, some breaking of law somewhere. It is not the will of God that a man should be blind. I am not for the moment saying, of course, that limitation is the result of personal sin, which it certainly is not in every case. Indeed, here is the problem. We emphasize the fact that when God created a man in His own Image and likeness, He gave him the marvelous gift of sight. Here is a man lacking that gift. The question arose as to why. The belief was that there must be sin somewhere to account for this. Then they made their half suggestions, which seemed to cover the ground for them. Either he had sinned, or his parents. Their question suggested first that he might have committed some sin; or on the other hand; that his parents had been guilty of sin. Thus they made two propositions. They were convinced that there was a connection somewhere between this frustration of the Divine intention, and sin. The first suggestion would seem to suggest the idea that the man's sightlessness was the result of his own sin. Thus, as we look at this man, we find ourselves face to face with the problem which is continuous in human history. At some time or other, almost invariably, we have to face and discuss it. A human being is seen suffering from a limitation that is a terrible handicap, frustrating the highest purposes of life, and that from life's beginning. We may employ a very familiar phrase in this connection, and say that we are confronted by the problem of evil, and its relation to some moral depravity. These disciples conscious of such a problem, and knowing that they were with their Master, Who they believed could give light and explanation of problems, asked Him the question: "Who did sin, this man, or his parents, that he should be born blind." Now, let us observe quietly and remember clearly that our Lord gave them no solution of the problem. He dismissed their suggested solutions, declaring that the man was not suffering as the result of any sin committed by him; neither was he suffering as the result of sin committed by his parents. Now we come to the point in the narrative where there are differing interpretations, and we need to proceed with reverent care. In doing so we will first observe the statement made exactly as it is printed in the Revised Version, following the punctuation: "Neither did this Man sin, nor his parents; but that the works of God should be made manifest in him. We must work the works of Him that sent Me while it is day; the night cometh, when no man can work." The punctuation there which places a full stop after the word "him" is misleading. Let us change it, and again examine the change carefully. "Neither did this man sin, nor his parents. But that the works of God should be made manifest in him, we must work the works of Him that sent Me, while it is day." The change looks slight, but it really is radical. The old punctuation has led expositors into a most curious region of difficulty, and attempted explanation, in which they all and always break down when they attempt it. That punctuation would mean that our Lord said, This man did not sin nor his parents, but he was born blind to give God the opportunity to manifest His power. I admit that that is a brutal interpretation, but that is exactly what it means. The inference is that this man had been born blind, had lived through the years without a sight of his mother's face, of Nature, or of the Temple courts, had gone through life with frustration of his personality, in order that God should have this opportunity of revealing His power. To me that view of God savors of blasphemy. God does not bring a man into this world, and allow him to suffer for thirty years the frustration of personality, in order to show His power to remove that limitation. If we read the paragraph with the amended punctuation, which I have suggested, we shall find a great difference of opinion. It may be better at this point for me to say that nearly thirty years ago this paragraph gave me great pause. I translated it, and introduced the punctuation I now suggest. I then submitted it to a most eminent scholar, and he replied that: "He would be an exceedingly bold scholar who would undertake to prove that the punctuation should be one way or the other on the mere ground of the Greek itself. It seems as if the question would have to be finally decided on doctrinal grounds, for it is plain that the difference in punctuation would change the meaning altogether. If one rendering would be more in spirit with the tenor of Christ's teaching, as seems quite probable, that would be quite naturally preferable." Upon the basis of that opinion I adopt the new punctuation. Thus our Lord did not solve the problem suggested, but proceeded at once to do the work for which, as He said, He had been sent, and that was the work of removing the disability which caused the problem. This account, therefore, is vital because in it we see a man who is an abiding type of individual suffering, not the result of personal wrong-doing, or even of wrong-doing of immediate ancestors. Unquestionably such disability is the result of a violation of law somewhere. The whole point that we would emphasize is that our Lord gave no solution of the problem, but did remove its cause in the case of the individual. Still looking at this man, and turning from this essential fact to those which are incidental, we find him to have been a simple soul, who was prepared to do what he was told. He made no appeal to Jesus except, as the fact of his necessity was an appeal. Our Lord approached him evidently on His own initiative, and forming clay, He anointed his eyes, and said, "Go, wash." Simple as it is, we cannot avoid being arrested by the immediate obedience of the man. Necessarily there was something in the presence and the voice and the touch of Jesus, although the man could not see Him, which produced an effect. He immediately arose and went. He started as a blind man, perhaps feeling his way to the pool, or gaining help from someone to lead him there. As we watch him through the account, we see that he was an honest soul. He refused to be deflected from the facts. When he came back with his sight, it was to his own people, to his home, and to his neighbors. We can imagine their amazement as they looked at the man they had known so long asking alms, and never seeing them as they passed by, now looking at them. It was so amazing a sight that some doubted his identity. He, however, was perfectly sure, and asserted the fact. He told the account quite simply that a man that is called Jesus had made clay, and anointed his eyes, had told him to wash in Siloam. He had been, and had returned, and was able to see them. At this point the nightmare of tradition is manifested. They immediately became concerned that the thing had happened on the Sabbath day, and I think with no hostile intention, they nevertheless took the man to the rulers, those in charge. Before these also he adhered to his statement concerning what had actually happened. When they tried to perplex him, he grew satirical, and asked if they also would become His disciples. Still watching him, we see him yielding to light as it broke upon him. He first affirmed the fact. He had received his sight. Later he said, that he did not profess to know the Person Who had wrought the wonder, and so did not profess to know whether He was a sinner or not. The one thing he did know was that having been blind; he was now able to see. While he was telling his account, evidently there dawned upon him the consciousness that the One Who had wrought the wonder was a prophet, and obeying that growing light he declared that it was so. They urged him to give glory to God, Which they did not mean, attribute the wonder of his sight to God, but, Be truthful, and declared that they knew nothing about Jesus to who He was, or how He gained His authority. The light was still growing upon the man, and he said that it was a marvelous thing that they did not know whence He came, that from the foundation of the world it had not been known that a man born blind had received his sight, and he was now convinced that He must have been from God. The final light broke when presently our Lord revealed Himself to him, and he said, "Lord, I believe," and worshipped Him. As we turn to watch our Lord's dealing with this man we are arrested by that which is a commonplace thing, and yet a wonderful thing. "He saw him." The Greek word employed is ends which has a twofold significance. It may be used quite simply of the fact of sight, but it may also be used to describe perception and understanding. It was surely so in this case. Our Lord saw, perceived, understood the whole of the facts of the case. Everything resulted from that vision. It is quite evident, too, as we have already said, that there was something in that very look of Jesus which attracted the attention of the disciples to the man. Then they raised their question, and as we have seen, our Lord offered them no solution, but declared that He was in the world as its light; that He was in the world working the works of Him Who had sent Him. He then did that very thing. He wrought the wonder by which the disability which had caused the problem was removed, as He gave this man the blessing of sight. It is an interesting fact that He employed clay, and the anointing of the eyes. Unquestionably the method was rendered necessary by something in the man, of which we are ignorant. He gave sight on other occasions without anointing clay. By this method, therefore He reached the will of the man, and brought him to the place of obedience. The value of the account lies within the fact that we are constantly faced by problems that baffle all our thinking as we look out upon conditions in this world. In the light of this account we ask, what has Christianity to say to these problems? And the reply is that it attempts no solution, but that it is its mission to remove the cause of the problem. It may sound an almost commonplace thing to say, but I say it with great deliberation, we shall have more time in eternity to consider these problems, and with more intelligence. The one sure thing before us at the moment is that the work of Christ and His Church is to approach disability with relief and release. It might be said in passing that we find nothing in the Old Testament about the opening of blind eyes except prophetic words. We read of the healing of the body, of the cure of leprosy, but what the man said was perfectly true: "Since the world began it was never heard that anyone opened the eyes of a man born blind." It is the very superlative nature of this sign which creates its value. But there is more in the account. As the result of this man's testimony they cast him out, which means far more than that they put him outside the synagogue. It was an act of excommunication. It was when Jesus heard that they had taken this action that by the old order of things, and by the will of those in authority the man was excommunicated, that "He found him." Finding him, He at once challenged him: "Dost thou believe on the Son of God?" Here we pause simply to say that there are those who believe that the question should read, "Dost thou believe on the Son of man?" There is no question about it that some of the old MSS. have the question in that form, and it may be that it was so. But even in that case it must be interpreted by our Lord's use of the phrase; and the form, in the last analysis makes very little difference. He had said to His own, "Who do men say that the Son of man is?" Peter had made the answer, "Thou art the Christ, the Son of the living God." Now He asked the man this question either in the one form or the other. Personally I am inclined to believe that it was the form found in our text: "Dost thou believe on the Son of God?" for the man was evidently arrested, as probably he would not have been had the other form been used. This is proven by his reply: "Who is He, Lord, that I may believe on Him?" Then it was that Christ revealed Himself completely as He said to him: "Thou hast both seen Him, and He it is that speaketh with thee." Immediately the man replied, "Lord, I believe." And "he worshipped Him." That was an act following belief and it was the act of complete surrender and submission. Thus our Lord is seen receiving this man into a new economy, and a new relationship. The full interpretation of it all must be discovered by that which is not possible to us in detail now, namely the examination of all the discourse of our Lord which ensued. In the course of that He said "I am the door," "I am the Good Shepherd." He was instituting a new economy which was to supersede the old. This man had been put out of that old economy by the action of the authorities, and Jesus found him, asked him the testing question, received his confession, and thus opened the door into the new fold where there is one and only one Shepherd. Thus the whole account is indeed, as we said at first, singular and central. It is revealing in the matter of the problem of evil, and the revelation of the fact that the mission of Christ was not that of solving problems, but that of removing disabilities. He is seen as having come to banish our blindness and open our eyes, and receive us into the new economy of the Kingdom of God on the basis of our submission to Him. THE parable of the Good Samaritan, which is peculiar to Luke, is radiantly beautiful. Indeed, so wonderful is it that we may lose sight of the reason of it. 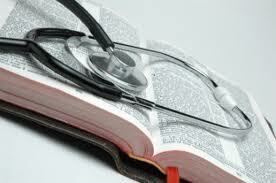 Expositors have often treated it as setting forth the mission and method of our Lord, and that quite permissibly. It is better, however, to remember that when our Lord uttered it, His intention was not to interpret His own mission, except as there was in Himself the fulfillment of all the great things revealed in the parable. The parable in itself constituted part of our Lord's method of dealing with one man. It is in that way we approach it now, and shall only touch upon the parable as it applied to the case under consideration. The man appearing before us, then, is a nameless lawyer. A careful consideration of the whole narrative will reveal that he was a very interesting, and indeed, a remarkable man. We may even describe him as a fine character, except as revealed at one point of moral breakdown, to which we shall come soon. The simple fact, as we have said, is that he was "a lawyer." We remember that there are three terms employed in the New Testament which are synonymous in their application to persons. We read of the scribe, of the doctor or teacher, and of the lawyer. Here we have three distinct Greek words, grammateus, rendered "scribe"; didaskalos, rendered "doctor" or "teacher," and nomikos, rendered "lawyer." Whichever name is employed, the reference is to the same office or position. At the time of our Lord, these men constituted an order well established in the life of the Hebrew people. No provision was made for them in the Mosaic economy. The office and the order emerged in the time of the return of these people from captivity under Ezra and Zerubbabel. Ezra was the first to institute the order of the scribes. We are told of them in the time of Ezra that they read the law and gave the sense. This means more than that they read clearly and properly. It indicates interpretation. These men were expositors of the law. As time had gone forward, the order had continued; and in the account of Jesus we constantly meet members thereof. We may say, then, that the lawyer was an expert in law. He had three duties falling upon him. One was to study and interpret the law. The second was to give definite instruction especially to the youth of the nation in the law. The third was the exercise of judicial capacity. The lawyer was called upon to decide questions in law. Now this man was one of this order. We see immediately, then, that he was not an ordinary man, but one trained in one particular subject, the law of the Hebrews as given to them through Moses. Moreover, at the time of our Lord, as we are well aware there had been superimposed upon the law of Moses traditions intended to explain them. It was the work of the scribe or lawyer to interpret and apply these also. So much for the man and his position. We now attempt to see him by carefully and critically reading the account, and watching him. First of all it is evident that he was seriously asking. Luke introduces him by saying: "And behold, a certain lawyer stood up and tempted Him." Here it is essential that we halt and consider what is meant by that word "tempted." It is not the usual word employed. It does not mean that he was endeavoring to entrap Him. It is indeed a strong word, and we may quite accurately render it: "A certain lawyer stood up, and put Him thoroughly to the test." There is no reason for thinking that there was any hostility manifested in this case. It is perfectly true that we do find over and over again hostility revealed in attempts to entrap Jesus. There is no evidence of anything of the kind here. He was rather suggesting a question, the answer to which would inevitably be a revelation of the mind of the Master. We notice further that he was seeking the highest and that with rare intelligence. The question he asked was one which must put any man thoroughly to the test: "Teacher, what shall I do to inherit eternal life?" There are many things in our holy Faith with which we have become so familiar that unless we keep constant watch, we miss their full value. I am thinking now of this term "eternal life." Rightly apprehended, we shall find that the question the lawyer asked was the utmost question for all life. It is a question which today may be asked of any teacher, of any philosopher; and upon the answer given will depend the knowledge or lack of knowledge of the one so questioned. Let it be then said that eternal life means something far more than long life. Its continuity is dependent upon its nature. The question might be framed, “What shall I do to inherit the life of the ages, life that is abiding, life that is full, the life that lacks limitation, life which is as broad and as deep and as high, as it is long?” We remember at this point that the young ruler asked exactly the same question. Wherever a man is found seriously asking this question, he is thinking on high levels, and is engaged on the highest possible quest. He was conscious of his own deficiency as the form of the question proves: "What shall I do to Inherit eternal life?" His question was a revelation of his dissatisfaction with any experience he had so far had of life. He knew life. He had been born. He had played as a child. He had grown up as a young man. He had come into a position of influence as a lawyer. But his question proved that he was still seeking that life which could only be described as eternal, or the life of the ages. We see him, then, as a man dissatisfied, but aspiring to something higher. With this greatest of all questions he approached Jesus, and by asking it, determined to put Him thoroughly to the test. Still watching him through the account, we are arrested by his answer to our Lord's first question: "What is written in the law? How readest thou?" As we have already said, technically he was expert in the matter of the law, but it is evident that he had a spiritual apprehension of it which was correct. He answered our Lord in the declaration: "Thou shalt love the Lord thy God with all thy heart, and with all thy soul, and with all thy strength, and with all thy mind; and thy neighbor as thyself." It should be observed that our Lord did not ask him only what was written, but how he read it, that is, understood it. It is an arresting fact that he said nothing in his answer about sacrifices, nothing about duties, nothing about social obligations; and yet he summarized all these in the answer he gave. We need not argue its excellence because our Lord approved the answer, as He said: "Thou hast answered right; this do and thou shalt live." In these words He declared the accuracy of his intellectual conception, and declared to him that in obedience to it, the secret of life is discovered. It was at this point that we see the moral breakdown. Luke very carefully tells us: "He, desiring to justify himself, said unto Jesus, And who is my neighbor?" He was evading an issue. He had answered correctly as to the text of the law, and as to its spirit. When he was commanded to act upon his understanding obediently, he made an answer that revealed him as desiring to justify himself. Directly a man seeks to justify himself, he is admitting that he is arraigned before some tribunal. What was the tribunal before which this man found himself suddenly arraigned? It has been suggested that it means he was desirous to justify himself before men. Others have said that he desired to justify himself before Jesus. Personally I believe there is a deeper meaning in the declaration. He desired to justify himself to himself. He knew at once that while his thinking was correct in the matter of law, his actions were not in accord therewith, and he would evade the issue of this question as to who was to be looked upon as his neighbor. It was a refusal at the critical center of his being to face the challenge that had come to him from his own answer, and the Lord's approval of it. We have a further revelation of this man's rare intelligence in the apprehension of truth, in that when our Lord had uttered to him the parable, and asked him a question upon it, his answer was again correct. Having portrayed the wretched condition of the man on the highway, He had told the lawyer of three men, who passed along the road. They all had vision of the man. The priest saw him. The Levite saw him: The Samaritan saw him. The vision in the case of the first two brought no result of helpfulness to the man. They passed by on the other side. In the case of the third, the vision appealed to his heart, and stirred his compassion. When Jesus asked the lawyer which of the three was neighbor to the wounded, bruised, half-dead man; he immediately gave the right answer, "He that showed mercy on him." Thus we have in him a picture of a man questing for life, knowing he had not found it, desiring it, putting Jesus to the test, and then evading a moral issue. We now turn to watch our Lord dealing with this man. His first question was one which turned him back upon himself, and called for an opinion in a realm in which he was unquestionably a specialist. Jesus said in effect to him, why do you come to Me asking about life? You are a lawyer, that is, an interpreter of law. Let Me, therefore, approach you, and ask you the very question that scores of people have asked you in other matters, What does the law say? How do you read it? The very method of these questions was remarkable. First, "What is written in the law?" Second, "How readest thou?" The two were necessarily interdependent. The "How" depends upon the "What" as to the actual statement of law. The "What" depends upon the "How" for moral value. It is possible to answer the "What" with perfect accuracy, and yet discover that the reply to the "How" is a revelation of failure. The question, "How readest thou?" was a common question put to the Rabbis. Men and women in difficulty about law would often quote to the Rabbis its terms, and then ask for an interpretation of it. Thus the man found himself flung back upon his own calling in life, and upon the things with which he was supposed to be, and undoubtedly was, an expert. The question was such as to produce a revelation of his correct understanding. It is noticeable, however, that he gave no answer to the second question, except as that might be involved in his first answer. It is an arresting fact that he did not quote from the Decalogue. He linked together two passages found in different positions in the ancient law. So far, then, he had replied to both questions. The "How" was answered in the method by which he summarized the written requirements. Then followed the evasion on the part of the lawyer, and the parable, in which our Lord dealt with the evasion. The outstanding fact in the parable is that in employing it our Lord completely changed the emphasis of the lawyer's question. The lawyer had said, "Who is my neighbor?" And now let it be observed that our Lord did not answer that question; but to gather up the whole impact of the parable we find that its purpose was to say to this man, the question is not so much, who is your neighbor, as, to whom are you prepared to be a neighbor. Here we pause to listen to the parable in itself. Our Lord took the utmost case of a bruised and broken and half-dead man lying upon the highway. A priest is seen looking upon that man, but quickly passing him by. That is also true of the Levite. Neither priest nor Levite was a neighbor to that man. They both saw him, were cognizant of his condition, but did nothing for him; then came this Samaritan. The question was not as to whether the half-dead man was a neighbor to the Samaritan. It was a necessary question, was the Samaritan a neighbor to the man? With a fine satire our Lord excluded all official religion as it then existed in the Hebrew nation, and He excluded priest and Levite because of what they were in themselves, and of how they had acted in the presence of such a case. If He excluded them, He included a man outside the covenant people, a man held in contempt for that reason by both priest and Levite, and Jewish nation-a Samaritan. The Jew had no dealings with the Samaritan nationally or religiously; and it was equally true that the Samaritan had no dealing with the Jew. Nevertheless this Samaritan is seen acting without any reference to these hostilities in the presence of human need. Our Lord used of him that great expression so constantly employed concerning Himself, "He was moved with compassion"; and, therefore, he acted the part of neighbor to the man in need. It is possible that he was at the time returning along the road, after he had been to worship in Mount Gerizim; but something deeper than mistaken conceptions of worship, and its true place, was found in the compassion of his soul. The picture is Eastern and beautiful, of what he did, using the remedies of the time, he poured oil and wine in those gaping wounds. He lifted the man, and placed him on his own beast, and evidently walking by his side until they came to the inn, he placed him in charge of the host thereof, and undertook responsibility for him. Moved with compassion for him, he bound up the wounds, carried the man who could not carry himself; put him in a place of safety, and thus acted as a neighbor. The account told, the challenge of our Lord was uttered: "Which of these three, thinkest thou, proved neighbor unto him that fell among the robbers?" In this question we have the vindication of what we have already said, that while the lawyer had asked, "Who is my neighbor?" Jesus was showing him that that was a secondary question, the first being whether he himself had the heart of a neighbor. If so, then the one to whom the heart goes out, becomes a neighbor. If this had been a man living by the law he had quoted, really loving God and loving man, he would have been a man capable of feeling compassion in the presence of wounds and weariness, and of such action as would bring healing and help to the distressed. In the answer he gave to the question of Jesus, "He that showed mercy," he rose for the moment at least, above all the nationalism of his pride and his prejudice, as he owned that this Samaritan outside the covenant, revealed the true neighbor heart. In that answer we discover the victory of our Lord in the case of the man intellectually at least. He had touched in him that finer consciousness of compassion, and compelled him to own that even one outside the covenant could be a neighbor. He then left him with the words, "Go, and do thou likewise." We may here pause for a moment to notice the recurrence of that word "Do" in the account. "This do and thou shalt live." "Go, and do thou likewise." Here we have the quest for life, and the revelation of the secret of its possession. And there we have to leave the account. We know nothing definitely beyond. We may be permitted, however, reverently to indulge in some speculation. All this happened very soon after the experience of the Mount of Transfiguration. It took place in the early days of those final six months in the ministry of Jesus, all overshadowed by the Cross. This being kept in mind, we see how this account of the Good Samaritan as to all the principles it contains, does find its full interpretation in our Lord Himself. Lifted on to the highest level of spiritual application, we see how everything here suggested is fulfilled. We can indeed say: "He found me bruised and dying, And poured in oil and wine." As to this particular lawyer, as I have said, we know nothing more, but it is at least suggestive that about six months later, as Mark tells us, close to the end, when all the storm-clouds were gathering over the head of Jesus, and all His bitterest enemies were surrounding Him like wolves, "One of the scribes came," that is, a man of the same order: "And heard them questioning together, and knowing that He had answered them well, asked Him, What commandment is the first of all?" To that question Jesus answered: "The first is, Hear, O Israel; The Lord our God, the Lord is one; and thou shalt love the Lord thy God with all thy heart; and with all thy soul, and with all thy mind, and with all thy strength. The second is this, Thou shalt love thy neighbor as thyself. There is none other commandment greater than these. And the scribe said unto Him, Of a truth, Master, Thou hast well said that He is one; and there is none other but He; and to love Him with all the heart, and with all the understanding, and with all the strength, and to love his neighbor as himself, is much more than all whole burnt offerings and sacrifices. And when Jesus saw that he answered discreetly, He said unto him, Thou art not far from the Kingdom of God." Was that possibly the same lawyer? The question cannot be answered. If it was not the same man, he was one of the same order, and he asked not concerning life, but concerning law, "What commandment is the first of all?" The intention of the question is as to which is the first in the way of being chief. Our Lord answered him by quoting him the same commandments that the lawyer of our account had declared was his reading of law. It is further noticeable that the scribe of this later occasion agreed with that answer, as he said, "Of a truth, Master, Thou hast well said," and our Lord, seeing that he had answered discreetly, said to him, "Thou art not far from the Kingdom of God."